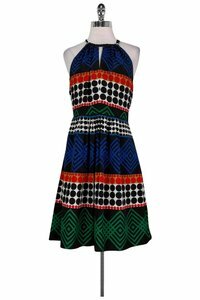 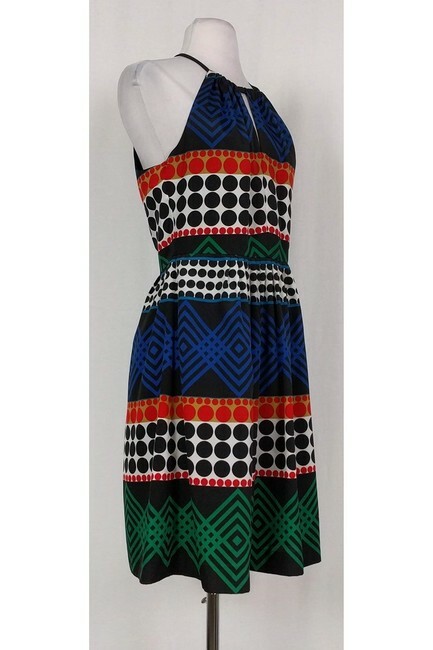 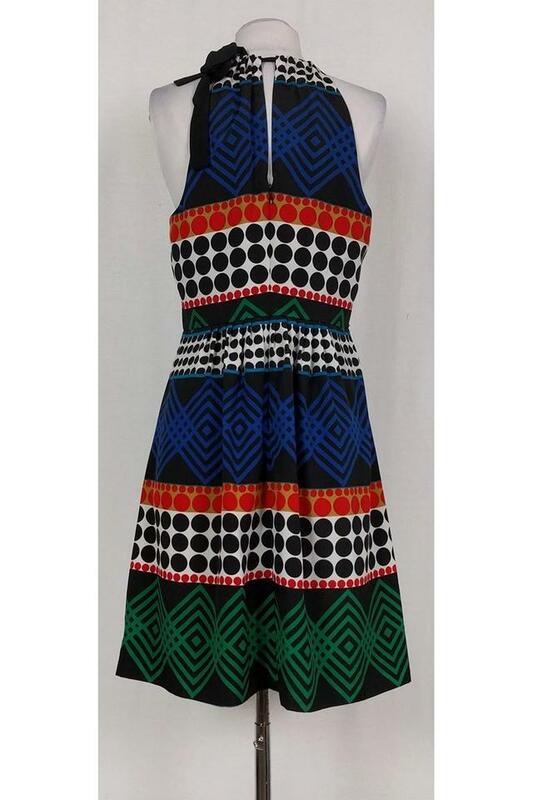 You can't go wrong with this vibrant Trina Turk dress. Made with a multi-color abstract print and feminine fit & flare silhouette. A tie detail at the shoulders adds a sweet touch.